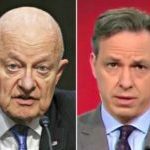 James Clapper Denies Tipping Off Jake Tapper on ‘Pee Dossier’ Briefing - CALIBERHITTING.COM - The Alternative, To Alternative Media. 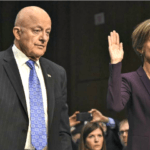 Former Director of National Intelligence James Clapper on Thursday denied that he tipped off CNN’s Jake Tapper about the briefing former FBI Director James Comey gave to President-elect Trump about the dossier that sparked the network’s first reporting on the dossier. 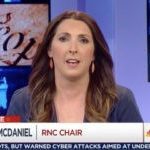 Tapper to RNC’s McDaniel: Why Do You Not Care When Trump Makes Thousands of False Claims?